Macao (China): Macao is not only about gambling, casinos and luxury entertainment. Its Portuguese past mingles with the present to create a unique architecture, history and culture that is mesmerising. 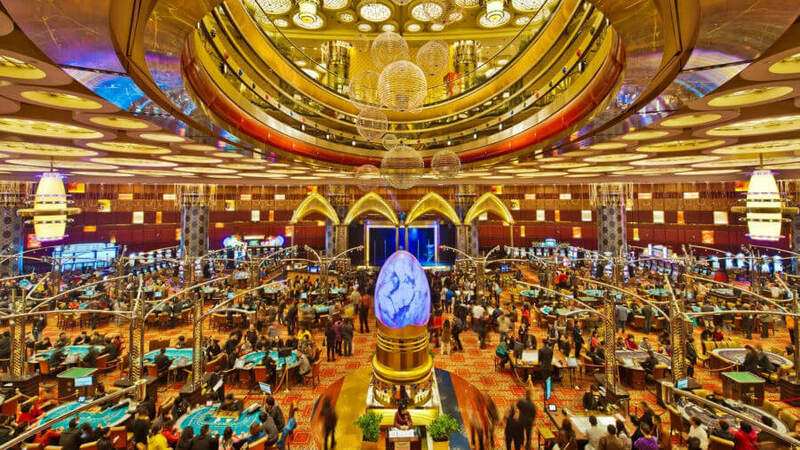 Since becoming the Macau Special Administrative Region of China in 1999, the “Las Vegas of the East” has taken special care to boost tourism through new infrastructure and resorts, besides fostering art, culture, music and film festivals. There is also an international fireworks display competition. Macao is blessed with panoramic views and rich cultural and historical sites. Walking through the city alone can give a feel of being in an outdoor museum. Macau Tower, a favourite tourist destination, is a treat as you go up a breathtaking 223 meters in under 60 seconds. Here you see the skyline changing quickly and amazing 360 degree views. You can access the skywalk or indulge in bungee jumping from the top. St. Paul’s is another famous landmark. The ruins of this 16th-century cathedral features a spectacular facade with intricate carvings by Japanese monks. In the House of Dancing Water, visitors can experience the play of lights and water. The motorcycle stunts of the artists is an added attraction. “In one line I can say, Macao is truly spectacular,” Irene Cheang, a visitor from mainland China, said, adding that he has never seen anything like this before. Macao is also culinary delight, offering a variety of dishes from around the world. Latest figures show that Macao recorded a 18.7 per cent increase in visitors in the January-August period this year compared to the same period in 2017, with total arrivals at 3.4 million. Overnight stay visitors accounted for 52.9 per cent, which has increased by 16.3 per cent over the period in 2017. Most of the overnight visitors spend on average 1.2 days in Macao. The day-trippers mostly come from mainland China, Hong Kong, Taiwan, Republic of Korea and Japan and enjoy gambling in casinos as it is illegal in mainland China. A Macao Tourism official said the peninsula has over 100 hotels while 20 more are under construction and 27 are in the planning stage. “Morpheus, the fifth hotel tower at the City of Dreams casino resort, opened in June this year. The Grand Lisboa Palace is scheduled to open soon and will encompass three hotels. The Palazzo Versace Macau, with its approximately 270 rooms, will be the first Palazzo Versace in Asia,” Arzan Khambatta, India Head, Macao Government Tourist Office (MGTO), told this visiting correspondent. He said iconic fashion designer Karl Lagerfeld is involved in the hotel design. “Another hotel slated to open soon is The 13, one of the most luxurious here, built at an estimated cost of $1.4 billion,” he said. With 15,000 rooms in various phases of planning and construction, the number of available hotel rooms will go up to 50,000 in the coming years. This, for a place that is less than 30 sq km in area.